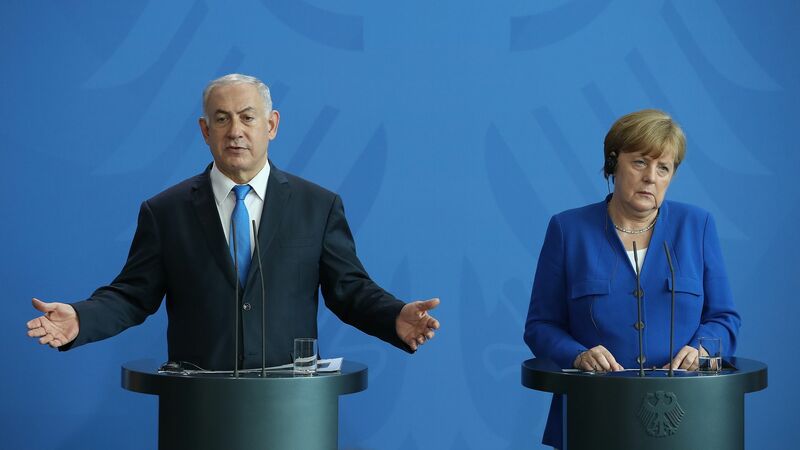 Israeli Prime Minister Benjamin Netanyahu said at a press conference in Berlin with Chancellor Angela Merkel that he would meet with U.S. ambassador to Germany Richard Grenell at Berlin's airport today — at Grenell's request. The backdrop: Grenell has been an unusually high-profile and controversial ambassador during his first month on the job. In a Breitbart interview published yesterday, Grenell raised eyebrows by saying he hoped to "empower other conservatives throughout Europe," with Germany now seeking clarification about his comments. Update: Netanyahu met Grenell at the airport but because of his tight schedule the meeting was very short. Netanyahu said Grenell is a big supporter of Israel and the meeting was requested long before the latest controversy. "It was basically a courtesy call," he said.